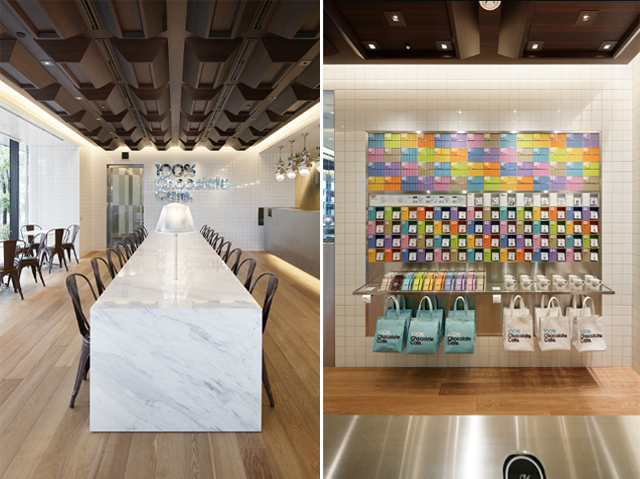 Tokyo's newest landmark, the Tokyo Sky Tree, is the new home to a sweet little shop called 100% Chocolate Cafe. 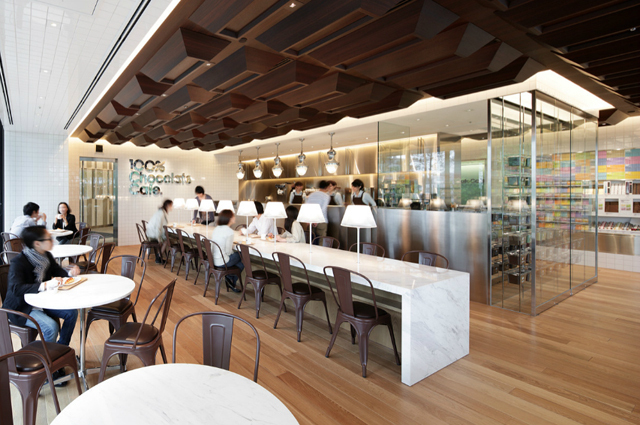 The creatives at Japanese based design firm Wonderwall are responsible for dreaming up the contemporary chocolate kitchen which features an in-store goods shop, an exterior walk-up take out counter, and a dining area for cocoa connoisseurs to sit down and taste. 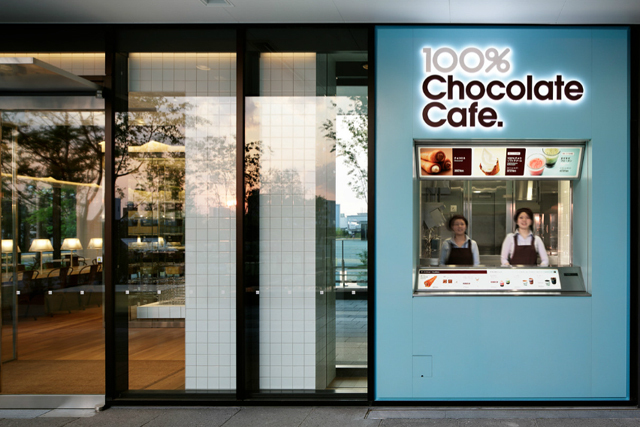 Principal architect Masamichi Katayama allowed graphics to become a strong component in the design to stay in suit with 100% Chocolate's brand. The chocolates are sold in small, colorful square packages - each chocolate is designated with a number. Katayama featured the chocolates in the retail portion of the shop as a colorful display wall where patrons can approach the wall to choose their chocolate bar.